Leading Manufacturer of AVL PSS i60 Particulate Air Sampler, AVL AMA I60 Combi Air Sampler, Combustion Development for Commercial Vehicles, NVH Engineering For Large Engines, Humidity Measurement on The Testbed and High Temperature Can Open Pressure Transducer from Chennai. The AVL PSS i60 is a full flow particulate sampler used to collect minute particles in diluted exhaust gas for gravimetric analyses.The AVL PSS i60 particulate sampler for gravimetric particle measurement is characterized by its innovative and compact system design for exhaust certification testing. Optimized gas flow rates combined with an enhanced mass flow control and direct electronic signal processing, increase the accuracy and reproducibility of the measurements, especially with regard to the extremely low PM emissions of today. The new particle filter design and the temperature controlled sampling offer the best conditions for determining very small particles and quantities. The AMA i60 COMBI contains analyzers with a wide dynamic measurement range for THC, CH4, NO/NOX, CO, CO2 and N2O, depending on the configuration. It is ideally suited for certifying spark-ignited combustion SORE engines with less than 19kw, in accordance with EPA 40 CFR Part 1054, as well as for developing and certifying motorcycle and ATVs on chassis dynamometers. AVL has the in-depth knowledge for developing combustion concepts ranging from Euro III or similar up to EU VI or similar and for on-road as well as off-road engines. Due to the high focus on alternative fuels AVL has built up significant know-how in the area of gas engines complying up to EU VI or similar. AVL's solutions are customized for specific boundaries (e.g. SCR only, DPF applications,…) To be prepared for future market requirements, research is done on technologies as waste heat recovery systems, hybrid technologies, innovative technology concepts and alternative fuels. AVL Powertrain Engineering is your expert partner for the development of innovative powertrain systems. From diesel engines to electric drives, from alternative fuels to control software, from transmissions to batteries, we have been supporting the automotive and mobility industries for more than 60 years. Unique synergies with AVL Instrumentation and Test Systems and AVL Advanced Simulation Technologies lead to highly creative, mature and application-specific solutions for our customers to meet their future market challenges.Market RequirementsCustomer BenefitsReferencesEngine development focuses on the optimization of emission behavior, engine efficiency and power density. However, the development process has recent been primarily driven by emission legislation. For future applications engineers will concentrate more on fuel efficiency and the fulfillment of greenhouse gas emission targets, also by integrating alternative technologies in existing powertrain configurations. The objective of AVL´s Instrumentation and Test System division is to optimize our customers' workflow processes by providing reliable and accurate instrumentation, open hardware and software systems and consistent user interfaces throughout. AVL provides all necessary sensors for monitoring the engine and measuring various parameters. For the measurement of relative humidity and air temperature in the intake port. For the measurement of relative humidity and air temperature in the test cell. For the determination of barometric pressure, air temperature and relative humidity. Communication to the host computer is done via analog signals. For the determination of barometric pressure, air temperature and relative humidity. Communication to the host computer is done via TCP/IP. This environmental data can be distributed automatically across the entire AVL PUMA Open™ test field via the Central Weather Station software. A high-end digital transducer for undamped dynamic pressure measurement directly at the measurement point without the need of any pressure measurement hose.This small-sized, lightweight sensor permits direct mounting at the pressure measurement point, eliminating any damping effect due to the absence of a measurement hose. It makes the exact recording of dynamic pressure signals possible. HT-C-FEM-P pressure transducers acquire the pressures of liquid and gaseous media. The HT-C-FEM-P allows dynamic pressure monitoring and recording (up to 1,000 Hz per transducer). In addition to the internal calibration, CANopen pressure transducers support PUMA Open's semiautomatic calibration (SAC) with 16 calibration points. The values between the calibration points are determined by means of linear interpolation. The C-FEM-P's high level of integration in AVL PUMA OpenTM ensures fast real-time processing of data transferred from the pressure transmitter to the automation system. The acquired signals are transferred in physical units to the AVL PUMA OpenTMsystem by means of a CANopen interface. The AVL HSS i60 is a highly flexible pre-filter and sample selection module for raw exhaust emission measurements. The AVL HSS i60 removes particulate contamination from the exhaust probe and prevents contamination of heated sample lines as well as of emission measuring systems. The heated sampling systems switch an emission bench to different sample points and sample lines. Deep-bed filters: The mean pore size of filter media is larger than the mean diameter of collected particles. Such filters collect particulates very well, which have a diameter much smaller than the mean pore size of the filter. These small particulates are collected on the internal walls of the filter. Particulates with a diameter fractionally smaller than the pore size will pass best through the filter. Surface filters: These filters collect all particulates whose diameter is larger than the pore size, and do not filter particulates whose diameter is smaller. A loaded surface filter may also collect smaller particulates, since the collected particulates work like as a deep-bed filter. On the basis of the interchangeable measurement ranges between 0.2 and 2,400 l/min, the AVL Blow By Meter can be used from small-scale and single-cylinder engines up to diesel engines for ships. The areas of application cover engine research and optimization of the piston-cylinder assembly. Furthermore, this system is used when designing crankcase ventilation systems and on quality and endurance testbeds. Along with the fuel consumption, the air consumption is another important parameter when developing combustion engines. In emission certification, the air consumption is taken as reference value. Thus, the air consumption is an integral part of AVL testbed solutions. The AVL FLOWSONIX™ Air consists of the components of measuring head, evaluation unit and two very short inlet- and outlet pipes (<5* DN each). Due to the large measuring span of 1:70, only two different pipe diameters are needed (DN 100, DN 150) to cover the full application range of up to ± 2,600 kg/h. The combination of AVL Fuel Balance and AVL Fuel Temperature Control is a highly precise fuel consumption measurement and conditioning system.ombined with the AVL Fuel Temperature Control, the AVL Fuel Balance measures the fuel consumption of engine- and chassis dyno test beds for transient and steady state measurement where highly accurate temperature control of fuel is needed. The AVL Oil Consumption Meter is a compact, mobile measurement system that allows quick automatic measurement of IC engine oil consumption with little effort. An important additional function is the integrated refill unit. On endurance test beds it can be used to replace the consumed oil. Voltage supply: 230 V, 50 ... 60 Hz,approx. The new AVL Micro Soot Sensor Generation MSSplus is a system for the continuous measurement of lowest soot concentrations in the exhaust gas from internal combustion engines.The MSSplus is the only measurement system on the market that is able to measure the concentration of soot directly and without cross-sensitivity to other exhaust components. The MSSplus operates based on the photoacoustic measurement principle. Thanks to the measurement cell design and enhanced electronics of the MSSplus, a particularly low detection limit of 1 μg/m3 in combination with a reduced signal noise is achieved. However, the MSSplus has not only been refined for low emission measurements, but also for the measurement of raw exhaust gas with the integration of an automated thermophoretic loss compensation (TLC). The TLC function compensates the particle losses resulting from thermophoretic deposition at the sample point and enables an automatic calculation, display and logging of the loss corrected soot signal. on a dedicated filter. It allows the transient simulation of CVS dilution tunnels by fast control of the flow rates and the dilution ratio. The AVL Smoke Meter uses the filter paper method to determine the Filter Smoke Number (FSN defined according to ISO 10054) and the soot concentration in mg/m³. The variable sampling volume and the thermal exhaust conditioning ensure an extremely high reproducibility and a wide range of application. The instrument can be used not only on large engines but also on light duty engines independent of their generation. In addition, raw exhaust measurements (e.g. upstream a DPF) or measurements up to 5000m altitude can be carried out by using device options. The BME 400 has an ergonomically designed operating panel. Incremental encoders allow the exact setting of demand values. Proven algorithms ensure bumpless change of control modes. The LCD shows demand and actual values as well as parameter settings and operating menus. The AVL Particle Generator (APG) is a stand-alone device that generates a highly stable and repeatable combustion aerosol. 365C for standard mounting at the free crankshaft, 365X for mounting at the shaft between engine and dynamometer and 365R "mass free marker disc" designed for racing applications, small sized engines or engines with limited access to the crank shaft. First, combustion analysis is executed and subsequently gas exchange analysis is done, whose result is in turn supplied to the combustion analysis, which is then calculated for the second time for higher accuracy. RS 485 connections for advanced configuration. Integrated LED indicators for actuator status. Standards/InterfacesRelated AreasTechnical DataDownloadsOptions / Add-Ons:Trolley with/without Conditioning UnitMobile 19-inch rack with optional, integrated climate and compressed air conditioning for extended ambient temperatures up to 45 °C.Tailpipe Sampling Kit (APCplus Advanced)The tailpipe sampling kit enables tailpipe measurements at exhaust temperatures up to 600°C for R&D purposes.High Pressure Option (APCplus Advanced)The High Pressure Option enables the measurement at exhaust backpressures up to 2000mbar and temperatures up to 1000°C, such as engine out raw exhaust measurements upstream of diesel or gasoline particle filters.External Flow Check KitThe flow check kit enables the monthly flow verification of the device as required by legislation UN/ECE R83 and R49.CVS i60 Sampling KitThe CVS i60 Sampling Kit is a complete solution for installation of the APCplusprimary diluter on an AVL CVS dilution tunnel VT i60.CVS Mounting KitThe CVS mounting kit is a flexible solution for installation of the APCplus primary diluter on various CVS dilution tunnels.Euro Norm Probe KitUN/ECE R83 and R49 standard probe kit for various CVS tunnels.Cyclonic separatorAlternative to the standard probe. The cyclonic separator removes particles with a size range of 2.5 μm to 10 μm in accordance with the UN/ECE R83 and R49 regulations.Gas Check ValveThe automatically switchable 3-way valve enables the verification of the gas dilution ratio of the instrument.PND1 Mounting Frame The mounting of the primary diluter (PND 1) of the APCplus is relieved by means of a specially designed mounting frame.Analog cableThe analog interface on the APCplus is used to retrieve an analog voltage signal of the measurement values.Digital Cable HybridInterface cable to integrate the APCplus into the test bed system via digital input/output (I/O) (hybrid integration in combination with analog cable).Compressed Air PreparationTo supply compressed air of the required quality regarding minimum particle content as well as oil and water content for the APCplus.PND1 exchange UnitTo minimize the down time of the test facility, AVL proposes the storage of a hot-swap PND1 exchange unit including heating line. The engine trolley enables an easy movement of the unit under test from the rigging / pre-test area to the test cell by hand or by means of a forklift truck like the engine pallets. The engine pallet for automatic docking enables shortened engine changing times through automatic and easy fixing of the pallet on the base plate as well as leakage free connection of the media supply per push of a button. One software-configurable measurement cube for all signal types. Modular design: additional cubes can be added. High accuracy and resistance to noisy signals by use of front end technology. Drive shafts not only provide the connection between the unit under test and the dynamometer on stationary up to high dynamic test beds, they also influence the vibrational behavior of the entire system.Drive shafts not only provide the connection between the unit under test and the dynamometer on stationary up to high dynamic test beds, they also influence the vibrational behavior of the entire system. High level control accuracy ± 0,1 mm (load independent), even in the case of critical measuring tasks.Simple setup of all testbed applications via standardizedT-slots.High vibration decoupling rate between base plate and building at low natural frequencies.Easy integration in test cell floor via compact design. AVL offers two standard sizes of AVL ConsysBoost for precise boost air control using a industrial air/water heat exchanger. Alternative solutions, such as spray variants, are available for following a dynamic temperature profile. If the use of the engine's intercooler is required, AVL offers ConsysBoost Spray. The intercooler is mounted inside a box with spray nozzles. By controlling the water flow, which is supplied via the spray nozzles, a very good temperature control dynamic is achieved. 16 channels for the measurement of voltages, currents, temperatures, resistances and measuring bridges. 16 channels for the measurement of voltages, currents, temperatures, resistances and measuring bridges on high voltage potential (+/- 1000V DC). 32 channels for the measurement of temperatures and low voltages. 16 channels for the measurement of voltages and currents. 16 channels for the measurement of high voltages (+/- 1000V DC). 8 channels for output of voltages and/or currents and 16 discrete input and output channels for digital control signals. *)AVL F-FEM 19" are also available as snap-in units. With the F-FEM Snap-in product family the data acquisition is shifted to the pallet in a vibration and IP65-protected manner. Flexible equipment due to clever slot system for data acquisition and pressure measurement units. Sensor cabling and pressure hosing already implemented in the setup area. Quick pallet replacement: connection via one multiple connector only. 16 discrete input and output channels for digital control signals. 4 + 2 counter channels for event counting, frequency or engine speed measurement. 4 channels for output of voltages and/or current signals as well as 2 channels for output of frequency, PWM or simulation of engine speed pick-up signals. The signals acquired by each pressure transducer are transferred in physical units to the AVL PUMA OpenTM automation system by means of a CANopen interface. The snap-in unit is designed for installation in the AVL Measurement Box. The miniature CANopen pressure transducers are mounted in the 12-channel Pressure Measurement Snap-in. The snap-in unit can house transducers with relative or absolute pressure measurement ranges. Typical applications are R&D and Emissions and Quality Assurance testbeds equipped with AVL´s Measurement Box. +/- 0.15% F.S. / 0°C...+60°C, typ. The accuracy of exhaust measurement systems is highly dependent on the quality and precision of the calibration devices used. In order to guarantee highest quality, to minimize operating errors and to reduce operating times, the AVL iCAL devices are available in a fully automated version. AVL's experience in providing and installing complete testbed systems, together with our powertrain engineering know-how, provides the ideal basis for a comprehensive product range for small off-road engine test applications - from analyzers and complete measurement systems up to test cells and automation systems. The AVL SORE GEM-Certification test cell automation system performs - fully automatically - the required standard test cycles for each engine class. The system provides an easy-to-use user interface and integrates all the necessary devices such as the emission measurement equipment, fuel flow meter, weather station and the dyno controller. The SORE GEM-Statistics application generates all the necessary quarterly, end-of-year and final reports as requested by EPA and CARB. The reports can be generated without the need to manually transfer the test results into the required format. This increases the quality of the reports as it eliminates typing errors. Use AVL´s leading position in the development of leading gasoline combustion systems to your advantage. Our locations around the world include professional project management in combination with high grade facilities. The AVL Filter Weighing Chamber (FWC) is a cost and space-saving alternative to a separate conditioned clean room and offers maximum user friendliness, ergonomics and functionality as well as cost-effectiveness. The AVL Filter Weighing Robot (FWR) automates the weighing process from conditioning to filter disposal or archiving. It therefore reduces measurement inaccuracy and increases the efficiency of the entire weighing process. The capacity for particle filters ranges from 160 to max. 640 filters. Compact and space saving solution for clean room standard 5 according to ISO 14644-1. Precise control of constant climatic conditions regarding temperature, pressure and dew point in the weighing area to comply with e.g. EPA 40 CFR part 1065/1066, Euro 5/6 (LD) und Euro V/VI (HD). Fully automated, movement path and time optimized weighing process via the robot. Intelligent storing place management with 4 filter magazine towers and max. 640 filter storing places. Sample filter identification via RFID Code with freely configurable information data. The oil conditioning unit conditions the engine or transmission oil temperature and supply pressure to a pre-definable set value and keeps it within a certain tolerance at steady state and dynamic operation of the unit under test (UUT). AVL offers its services as an independent engineering partner delivering development and production expertise for our customers. Uniquely integrated and in partnership, this provides the highest quality, tailor-made manufacturing solutions for the most challenging demands.AVL‘s Plant and Production Engineering solutions encompass services that cover the entire product life cycle. In the design phase, aspects of manufacturability and costs are systematically incorporated. Optimizing and improving the productivity of manufacturing processes including the analysis of quality problems is another thrust of AVL‘s portfolio. AVL also plans and implements production lines and facilities from the customer‘s first ideas to the production launch.Our solutions include a supplier development program, which ensures that the customer receives the right product at the right time. The main objectives are reduced costs, improved quality and improved delivery performance. Modernization of products like motorcycles, recreational products such as watercrafts, ATVs, snowmobiles, small aircraft engines as well as handheld tools and power generators always has to start with professional design and analysis work.The products are focused on high performance, best reliability at minimum cost, fulfilling all requirements of customer expectations and legislative standards for emissions and fuel economy. 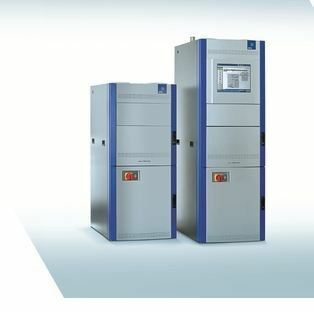 The solutions of AVL are covering the complete system integration for power unit, transmission and electronic controls. AVL has in-depth knowledge through our experts who have 40 years of know-how in continuously developing new methodologies and tools to solve this complex topic. Different applicationsWhich pressure sensor needs to be used for which measurement task?Which pressure sensor is typical for what kind of engine?Is there a need for water cooled cylinder pressure sensors? Alignment of precise and robust tasksHow reliable does a sensor need to be?Which pressure sensors are suitable for highly accurate measurements?Which pressure sensors are suitable for robust monitoring and control tasks? The difference between real and virtual world vanishes when presenting results with the all new AVL FIRE™ M post-processor. IMPRESS™ M offers all features necessary to visualize, analyze and report simulation results. The user has the choice between interactive on-screen and template based offline operation. What possibilities do I have to display result data? How can I compare results obtained for different cases? Using IMPRESS™ M simulation results can be visualized in different types of diagrams, in planar and surface cuts or as droplet clouds. Streamlines and particle tracing is available too. Field quantities may be shown in iso-line or iso-value view or if applicable in vector plots. Transient results can be displayed as a series of “moving” images. For result analysis IMPRESS™ M offers user-defined scaling and different color bars. Results of multiple individual simulations and case studies can be arranged in the same viewer making it easy to compare them. Presentation of results is supported by IMPRESS™ M through providing advanced features such as shading and blending or user defined object lighting and color assignment. Plots and animations can be created in different formats. Result data can be exported also as 3D PDF. Automated report generation based on user-defined templates is available, significantly simplifying and accelerating the post-processing of large design studies. The AVL AMA i60 Remote/Stand Alone Unit is a high-end mobile emission bench for emission testing of selected components such as THC, NOX, N2O or CO2-EGR. The AVL AMA i60 Remote / Stand Alone Unit has been designed for the analysis of exhaust gases from various sample points. It can be used as a remote unit (controlled by the AVL AMA i60) or as a stand alone unit (controlled manually via iGEM AMA on separate external computers or by a host computer).The iGEM AMA bench control software provides a quick overview of the bench status, including all streams and analyzers. The control software allows diagnostic functions to be performed automatically and supports trouble shooting down to sensor and valve level. The AVL SESAM i60 FT provides optimized analysis methods for different applications and fuels. Every single FTIR comes with an individual gas calibration certificate and verified accuracy. The modular system allows for integration of optional conventional analyzers as well as a second FTIR. The iGEM SESAM control software allows for easy, intuitive operation of the SESAM i60 FT i60 via a touchscreen. It provides a quick overview of the bench status, including all streams and analyzers. The control software allows diagnostic functions to be performed automatically and supports trouble shooting down to sensor and valve level. Every single FTIR comes with individual gas calibration certificate and verified accuracy. Optimized analysis methods for different applications and fuels, based on decades of AVL's FTIR application experience. Fast response times with accurate and synchronous measurement of NO, NO2, N2O, NH3, CO, CO2, CH4 as well as alcohols, aldehydes and more within one device. Low operating costs due to low maintenance system with no need for regular calibration. Easy operation and flexible integration into the testbed automation system. AVL SANTORIN COMPACT™ is the central platform to manage result data in a heterogeneous test field with automation systems from AVL and other suppliers. AVL SANTORIN COMPACT™ stores result data from different test beds into one ASAM-ODS compliant data base. Unified channel names are achieved by an automatic channel name alignment. This standardized result data is used for data analysis with different data post processing software tools, e.g. AVL CONCERTO. AVL SANTORIN COMPACT™ includes a central security and user management for access to the result data stored in the AVL SANTORIN COMPACT™ data base. An automatic data backup ensures that a data recovery is easily possible in case of hardware defect or data loss. AVL Visiolution technology helps the whole process to be understood in detail and thus provides the right tool for improving performance with regard to fuel consumption, mixture formation, exhaust emissions and engine power. Our pulse conditioning solutions are compatible with a broad range of standard sensors and deliver precise digital signals to our data acquisition units or All-in-One devices. The total range of ConsysCool fulfills the requirements on nearly all engine tests. The AVL ConsysCool supports research engineers in end-of-line tests, single cylinder research engines and high dynamic applications for race car engines. Easy to use visualization software, integrated in PUMA Open automation. This Graphical User Interface (GUI) with an interactive flow diagram allows a user friendly handling and monitoring of all active control components. One unit for a wide application rangeThe coolant conditioning unit AVL ConsyCool can be used as an intermediate circuit conditioning unit for oil and boost air conditioning, as it is very frequently applied in conjunction with pallet systems. A special addition to the AVL ConsysCool allows for the simulation of dynamic temperature profiles on engine testbeds. Stands and Supports ensure a quick installation of the dynamometers and unit under tests on the isolated base plate.rowing demands for a quick installation and a simple setup of the dynamometer and the unit under test require frames and mounting systems with standardized mounting possibilities. The AVL Intermediate Frame serves to mount the dynamometer on the base plate at the respective specified shaft height, as well as the mounting of the safety cover. Each frame is custom-built for the specified dynamometer and shaft height. It' s torsional stiff design enables an easy and quick alignment of the dynamometer. The AVL Portal Frame enables the use of the original customer engine exhaust system on the testbed. Each frame is custom-built for the respective configuration of the dynamometer, its decoupling, base plate, required space for the customer specific exhaust system(s), and the desired shaft height. Usage of vehicle's own exhaust system possible. Easy alignment of dynamometer and unit under test. The performance of combustion engines strongly depends on the media conditions. For a better reproducibility under almost real conditions there is a need of a high dynamic control of the media conditioning units. For 25 years, AVL has intensively developed different compact conditioning systems and technologies which are used in high-end engine test cells. If standard systems are not sufficient, customer-specific units are designed by AVL. Less maintenance work requiredHigher market and legislative requirements for combustion engines have increased the complexity of engine control and combustion systems. In order to reach the high quality standards (e.g. legislation for emission) and optimize development time, media conditioning systems are needed which are able to simulate constant ambient conditions as well as extreme environmental conditions. The signals acquired by each pressure transducer are transferred in physical units to the AVL PUMA OpenTM automation system by means of a CANopen interface. The temperature compensation, linearization and digital filtering are integrated in the processor of the sensor. Each pressure transducer can be individually exchanged. Pressures of liquid and gaseous media can be acquired. By means of sampling rates of up to 200 Hz per transducer even dynamic pressure signals can be monitored and recorded. The zero offset adjustment is done directly in the pressure transducers. +/- 0.15% F.S. / 0°C...+80°C , typ. +/- 0.05% F.S. , typ. The pursuit of increased productivity and efficiency also requires a rethinking of the configuration and the operating processes of the testbeds and will be guaranteed by process-oriented design and the high functionality of testbed equipment. The demand for short installation times and easy adjustment of the testbed equipment requires modular concepts with standardized mounting possibilities. Unproductive duties like engine commissioning and decommissioning, rigging, unit under test alignment, system checks, calibration, service, maintenance and repair tasks have to be shifted out of the test cell to ensure optimal test cell utilization. A prerequisite for smooth and efficient test processes is sophisticated test bed mechanics in combination with mobile pallet systems for the shortest possible unit under test changing times. AVL's modular concepts allow for a high degree of scalability from simple durability testbeds to highly sophisticated and complex powertrain development testbeds. The AVL VVETB Test System comprises a base system for high dynamic testing. It can be extended with modules for exhaust emission measuring, automatic calibration tools and special instrumentation like AVL DRIVE™ on engine test bed. Realistic cyclic rotational behavior of engine is not influenced. Realistic engine start and stop. Dual mass flywheel simulation model available. Featuring up to 40Hz powertrain behaviour. Wide range of engines with only one driveshaft. Powertrain simulation: up to 40 Hz at crankshaft of engine. With the portal frame of DynoSpirit the original exhaust system can be mounted in the space below the dynamometer (small adaptions may be necessary depending on the space available). The unique combination of the driveshaft layout with the VVETB control system allows relaxed alignment criteria and hence fast engine exchange times. The AVL CANLOAD pneumatic unit is designed for all standard applications based on butane/nitrogen or fuel vapor handling. It provides all required functions including individual valve matrix control, canister interface and mass-flow regulation. Uniform and flexible system design for synthetic gas and fuel vapor testingSubstantially reduced expenses for installation and total cost of ownershipImproved flexibility, quality and reproducibility accelerating R&D processesLook and feel user interface designed for simple operation and service-friendlinessMSR stand-alone architecture for independent and self-sufficient online test automationMarket RequirementsFunctionsApplicationsAvailable TypesCurrent trends and future demands concerning alternative fuels and various drive concepts require adequate and flexible test systems. AVL iGEM Offline complies with all current worldwide emission legislations and is also prepared for future legislations/regulations, new measurement methods, alternative fuels and other potential developments. It provides intelligent (support) tools to create individualized calculations and reports. Reduction of costs and time through simple system customization and expansion. Online references to the texts of the corresponding regulation/legislationAVL iGEM Offline includes a range of effective tools and offers the possibility for authorized users to change or expand an existing record configuration. The formula editor helps change calculation variables and formula and add them into the database. The configuration can be adapted to comply with new legislation or modified technical conditions. Report templates can be created and modified easily via drag and drop operations in the report layout editor. Several different types of reports can be created besides the typical standard reports such as online and modal reports; specimen, equipment and consumable data record sheets; statistics COP and audit reports; testing series reports, and also combinations of different types of reports. Based on detailed knowledge and experience in the methodology of combustion analysis, AVL has developed practical tools and devices to make the complex thermodynamic processes of an engine visible and understandable. In order to support all phases of development, AVL offers different solutions for different tasks in combustion development, application and calibration. These days, legislation acts as a major driving force on the automotive market and brings about current development needs and trends. Effective drive systems with the lowest emissions possible at moderate costs will be in high demand for all engines sizes. At the same time, the market is changing rapidly as a result of new manufacturers of engines/models appearing on the market and intensifying the competitive pressure on all OEMs. All these circumstances lead to a trend of radically shortened development cycles in general. The combustion analysis will increasingly become a central test focus again, because future engines will have to incorporate several combustion concepts in parallel. Therefore, all test engineers, calibration engineers and development engineers as well as test-field managers are facing increasing complexity. Engineers are facing new challenges again as they need stronger interaction and correlation between combustion analysis results in engine automation and control systems faster than ever before. With AVL Particle Scale, AVL presents a universal solution for the management of sample filters as used for particle measurement in emission tests. The intelligent particle filter management supports the user in the weighing process and offers easy handling of test and reference filters as well as reference weights throughout the whole life cycle. Besides the legislative requirements for exterior noise (pass-by noise) and operator ear noise, the market also requires a good noise environment for the operator. Typically, this is assessed with the standing tractor at low and high idle condition of the engine. To meet the challenging market requirements for cabin noise it is necessary to apply a careful and thorough NVH development process of the tractor starting with an NVH friendly concept and layout of the main tractor components. The AVL FIRE™ Aftertreatment Module is part of the AVL Aftertreatment Suite, which consists of AVL BOOST, AVL CRUISE and AVL FIRE®. It comprises the most advanced and most powerful set of capabilities for emission treatment simulation on the market. Due to its outstanding performance in respect to physical and chemical modeling the module became an indispensable element in the design, development and optimization of aftertreatment devices for internal combustion engines and industrial exhaust gas cleaning. Users of AVL FIRE™ engaged in IC engine research and development value particularly a set of tools collected in the FIRE™ Engine Simulation Environment (ESE), supporting them to perform their day-to-day business: the simulation of the flow in IC engines and engine components. Tailored solutions for most common tasks. Pre-defined workflows providing re-producible, user-independent results. FIRE™ ESE Aftertreatment comprises newly developed features and functions enabling its user to quickly setup and perform the generation of models for exhaust lines including exhaust gas aftertreatment devices. Within an automated grid generation process the tool takes care about all mesh requirements during subsequent simulations. Setting up a simulation task is based on pre-defined control files. That way the knowledge required about numerical models is reduced to a minimum. The task is now so easy that almost everybody can perform it. The AVL FIRE™ Eulerian Multiphase Module is used to simulate flows potentially consisting of an arbitrary number of fluids and / or phases. Its major feature is the ability to calculate for each phase its volume fraction distribution in addition to all other flow variables. AVL FIRE™ is a modern, complete CFD solution offering pre-processing, main program as well as 2D and 3D post-processing capabilities, supporting its users in simulation monitoring, visualization, analysis and presentation of results. 2D result analysis is performed in IMPRESS™ Chart, AVL's technical graphics and analysis tool that handles two-dimensional simulation result data quickly and easily in a way that allows plots and data configurations to be reused. The user can import data in a variety of formats, perform a range of mathematical and statistical analyses, and exchange data and graphics with applications integrated in the AVL Workspace. IMPRESS™ Chart features a comprehensive set of graphical styles, giving its users total control of each individual graphics element. The user can create plots of different types and layouts. Application specific reports can be easily created based on templates. AVL's solution for 3D result post-processing, IMPRESS™ 3D, offers numerous functions enabling detailed result visualization and analysis. During the simulation it enables monitoring the convergence behavior and the result development by visualizing the residuals of the differential equations as well as selected results. Simulation results, both vector and scalar quantities can be displayed in two and three-dimensional "cuts" as iso-lines, iso-values, iso-surfaces and vector quantities can be additionally displayed as vector plots. Calculating streamlines, particle tracing as well as the visualization of droplet clouds is possible too. In order to analyze results IMPRESS™ 3D offers support on operations on three-dimensional result data, macros, formula capabilities, import of selected reference (testbed) data, user-defined scaling and color schemes. For result presentation the post-processor provides shading, blending and texturing options, manipulation of lighting and color assignments, inserting text elements, generation of plots in different formats and the generation of animations in mpeg and avi format. The drivers for the use of charged engines include increasingly stringent economic and environmental constraints, the need for low fuel consumption, a fun driving experience and a continuing trend in terms of engine downsizing to achieve improved engine efficiency. AVL BOOST™ is the optimal tool for charger evaluation for given engine performance and fuel consumption targets. The basic thermodynamic matching of the turbocharger is performed for steady-state operation and continued by the optimization of the transient response. The matching calculation is iterative, based on compressor and turbine maps, as well as the most important engine data. Engines equipped with the charging system can be integrated into the vehicle simulation tool AVL CRUISE™, in order to consider the overall system of the engine and vehicle within a driving cycle. In contrast to standard pressure charging devices, the pressure wave supercharger process is a direct gas-dynamic transfer of exhaust gas energy to the fresh charge in the channels of the rotor via traveling shock and expansion waves. The underlying physics allow highly predictive 1D modeling where the performance is a simulation result and no maps for mass-flow or efficiency characteristics are necessary. The DynoPrime system is a synchronous motor with high nominal torque (larger than ICE) plus additional overload torque capability for simulation of speed oscillations. The specially designed dyno housing allows the substitution of the combustion engine for direct gear box testing. Combined power converter - DynoPrime in combination with DynoTrain or DynoWheel - are highly cost efficient. Based on the high overdrive ability the machine is able to be designed on base load and not on peak loads in the ICE emulation. The pre-processor of AVL FIRE™ M offers two novel grid generation solutions: FAME™ Poly, a fully automated meshing environment for geometries of all complexity levels and FAME™ Block, an interactive meshing tool for specific applications. What do I need to make a mesh? Does it require much training to learn how to make it? How flexible is FAME™ M? Will all details of the geometry be represented in the mesh? How can I get mesh boundary layers? Can I control the mesh resolution? How simple is it to make a mesh for a multi-domain problem?FAME™ M offers CAD Data readers for all common native and standard exchange formats, a comprehensive set of functionalities to manipulate and repair defect geometry data and two meshing solutions, FAME™ Poly and FAME™ Block. FAME™ Poly requires very little input and works fully automatic. Even for novice users it takes just minutes to prepare and to submit a meshing job. Due to the nature of the technology multi-domain problems can be meshed without additional user effort. FAME™ Poly allows generating both tetrahedral meshes and polyhedral meshes. FAME™ Block generates fully hexahedral meshes. The user decides the mesh topology. Even though the tool is operated fully interactively it takes little time to learn using it. All available meshing solutions provide boundary fitted grids with mesh boundary layers of user defined thickness and in user defined number. Arbitrary cell size selection, local refinement and re-dimension functions provide control over global and local mesh resolution. Offering multiple mesh generation approaches users can select the best solution for each problem. FAME™ Poly and FAME™ Block meshes can be randomly combined without arbitrary interface generation. Simulation driven development and frontloading, investigating a large number of designs in an early development stage. How does FIRE™ M help to shorten my development cycles? Can FIRE™ M deliver results that are reliable and accurate? The FIRE™ M Main program is handling non-reacting, single phase fluid flows, heat transfer and solid temperatures. All of it simultaneously, efficient and effective. The combined capabilities of pre-/post-processing and main program allow easy execution of case studies supporting the integration of simulation into product development processes. This is essential to reduce development cycles without compromising on quality. It offers investigating more designs in a shorter time to get products of higher performance and maturity. FIRE™ M benefits from lessons learned during three decades of CFD Software development, at AVL engagement in thousands of engineering projects and continuous extensive investments in simulation model development.